THREE TOED SLOTH - COSTA RICA Welcome to my three toed sloth gallery. 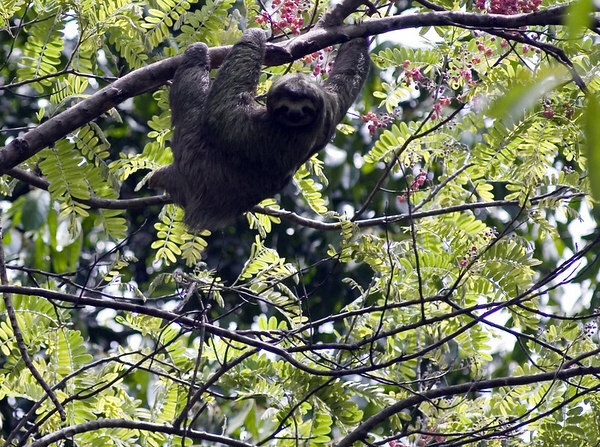 These sloths live in Manuel Antonio National Park in Costa Rica. All images in this gallery are available for commercial and editorial licenses. Please contact me by by email or phone at (250) 475-9268 in Victoria, British Columbia to purchase a license for one of my photos. These images can also be ordered as prints and you can use the shopping cart feature on this site to order directly from a professional photo lab.